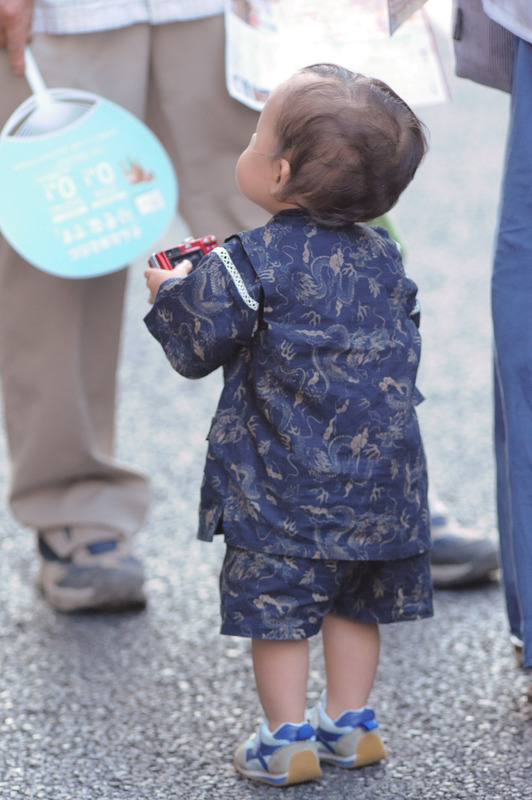 So I went out to the second (of three) Gion Festival festival-in-the-streets evenings as I did yesterday, but this time I neglected to adjust the camera settings, and I left them at what Anthony uses for his stop-motion Lego play. That means that instead of shooting raw as I normally do, which allows for the highest quality results, I ended up shooting in the smallest, lowest-quality JPEGs the camera could do. What a huge mistake. It's all the more depressing because I must have given my contact info to at least a dozen people, to contact me for copies of the photos I took of them or their group. History has shown that most won't bother (even though they saw the result on the back of the camera and to a person were stunned at the result), but now I worry that I'll have anything worth sending. Sounds like you need to get Anthony his own camera so you don’t have to worry about that in the future. Sorry about your photos. But, seeing your post made me go look for Anthony’s LEGO photos with my son, Will. He now wants to go to Japan to visit Anthony:) He is obsessed with LEGOs! Always remember to “Zero Out” everytime, lesson learnt eh! I do understand how you feel right now. This also happened to me once. But remember everyone makes a mistake once in a while. So keep your chin up! In certain luxury cars there are “driver presets” so that when you get into the car on Monday after your wife drove it on Sunday, all you have to do is press a single button and the car returns the common things in the cabin (seat position, mirror positions, wheel tilt, etc) to the way you like them. I wonder if this might ever catch on with camera firmware developers? If it makes you feel any better, we’ve all done something similar. Thanks for reminding us to check our settings. I hope some of your images still turned out. Just out of curiosity, post one of those shots here as usual. I wonder if at that size there will be a difference to see. After all, those photos of A’s Legos didn’t appear to have any less resolution than your other photos. Ahhh…I thought you were referring to that other post. Been there, done that, so appreciate how you feel. Try using custom settings, one click and you’re done.